The Perceptual Awareness Centre (PAC) is a not-for-profit organisation engaged in forging links across multiple disciplines with an interest in the issues of perceptual awareness and the human umwelt. 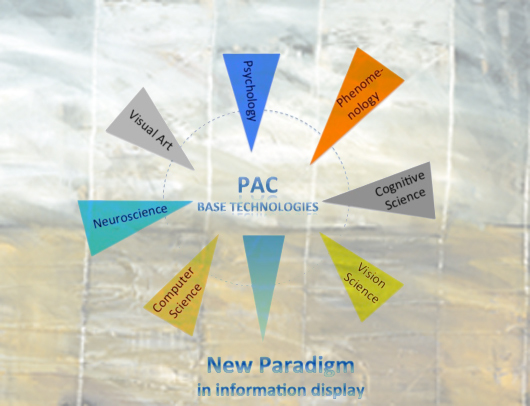 PAC aims to focus and coordinate research relating to experiential awareness towards multidisciplinary consensus leading to practical applications in technology. 2. 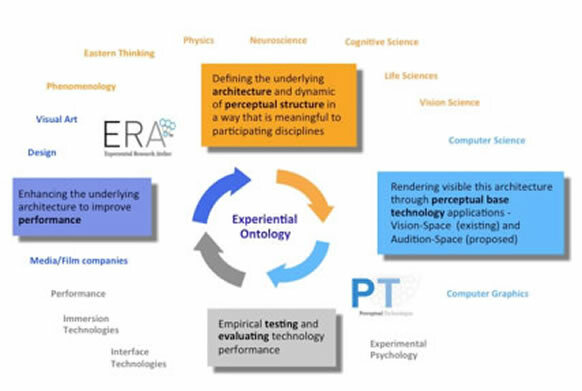 Perceptual Technologies – eencourage the development of base technologies incorporating aspects of perceptual awareness to promote their dissemination across and through industries. By placing the experiential ontology to the fore PAC is working outside the normal demarcations set by the third party observation driving scientific enquiry. The same is true for traditional science/art collaborations (SciArt) where the involvement of art is typically to illustrate or play with the concepts that define science. 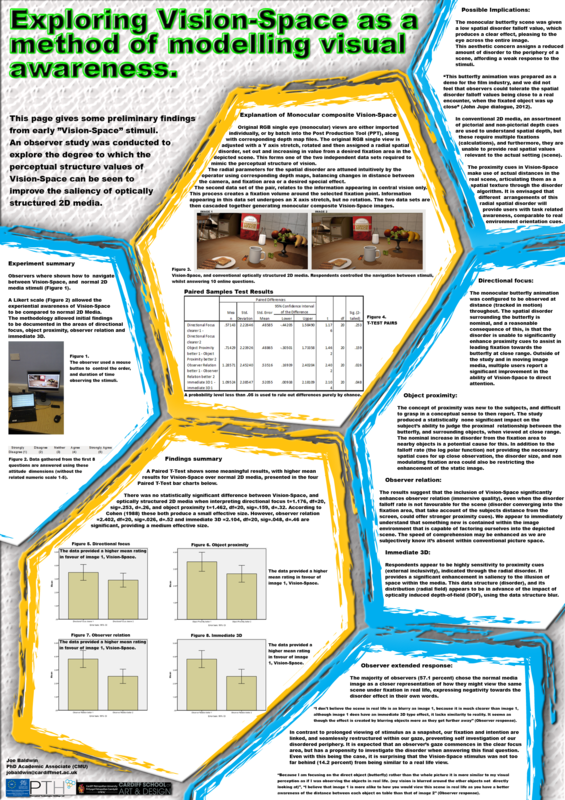 Support and encouragement is required to cross-reference what is established from experiential encounter with other research disciplines to provide a robust platform for the development of perceptual technologies. Higher Education Establishments (HEIs) are limited in what they can undertake in this area, there is little in the way of financial support or expertise for this important bridging activity. While commercial companies are interested in the potential of adopting new technologies they are increasingly risk adverse with respect to game changing developments. Larger companies are bound by internal structures that are often in competition with each other as business silos and smaller companies can’t afford the resource. There is a clear gap between the publically funded pure research and the aspirations of funding bodies for social deliverables or “impact”. The development of base technologies from cutting edge research projects would offer tangible outcomes that can be taken up by the commercial sector to deliver next generation technologies. PAC are in a position to deliver on our agenda as we have developed initial paradigm shifting base technology (Vision-Space) for visual displays. Independent TRIZ analysis identified over two hundred commercial applications over twelve separate industries. Vision-Space is identified as highly disruptive technology. This pioneering work was financed and conducted by both private and public sector contributions. PAC has the experience and networks to provide this vital function on an ongoing basis and to perhaps act as a model for initiatives in other areas.